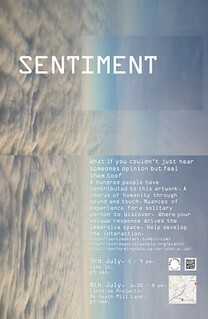 As part of Digbeth First Friday and on Wednesday, Diane Wiltshire is showing a new art installation entitled Sentiment. Sentiment Art is an interactive soundscape experienced with a wearable sensation device. 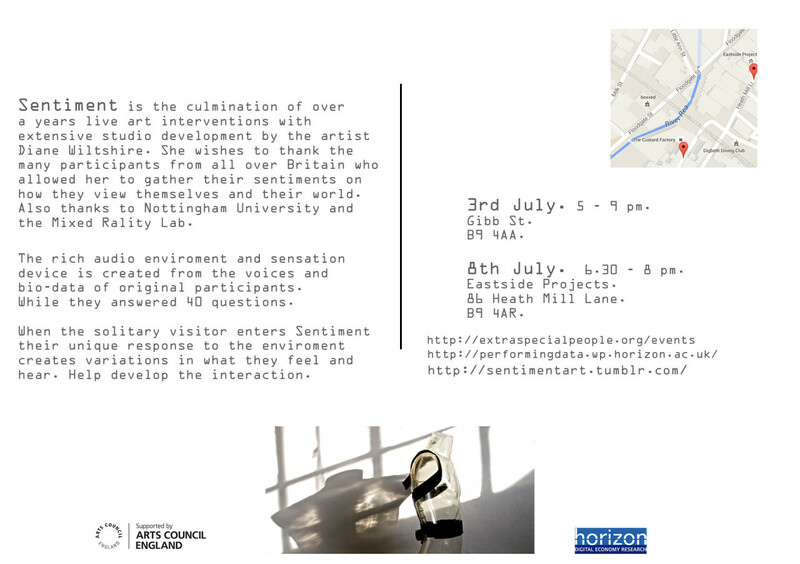 The work has been created from the voices and emotional responses of fifty people to 40 questions posed by Diane. For more information see the flyer above (click for a larger version), website, or Diane’s Facebook page.